The Depression–Anxiety–Stress Scales (DASS; P. F. Lovibond & S. H. Lovibond, 1995) have shown considerable promise in their ability to differentially assess depression and anxiety symptoms. Most of the work to date has relied on normal or predominantly anxious clinical samples. 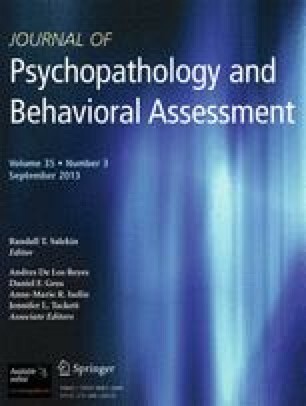 To extend this research to a predominantly depressed sample, a psychiatric sample from a mood disorders program (N = 439) was used to investigate the factor structure of the DASS. Confirmatory factor analyses indicated that a 3-factor model for the 21-item DASS was supported. A 3-factor model with crossloading items for the 42-item version showed no practical improvement. Further confirmatory analyses evaluated the ability of item subsets from the DASS to represent the constructs specified in the tripartite model (L. A. Clark & D. Watson, 1991). Strong support was obtained for the DASS to represent the construct of anhedonia and physiological hyperarousal, and their relative importance is consistent with predictions of the tripartite model in understanding the relationship between anxiety and depression.